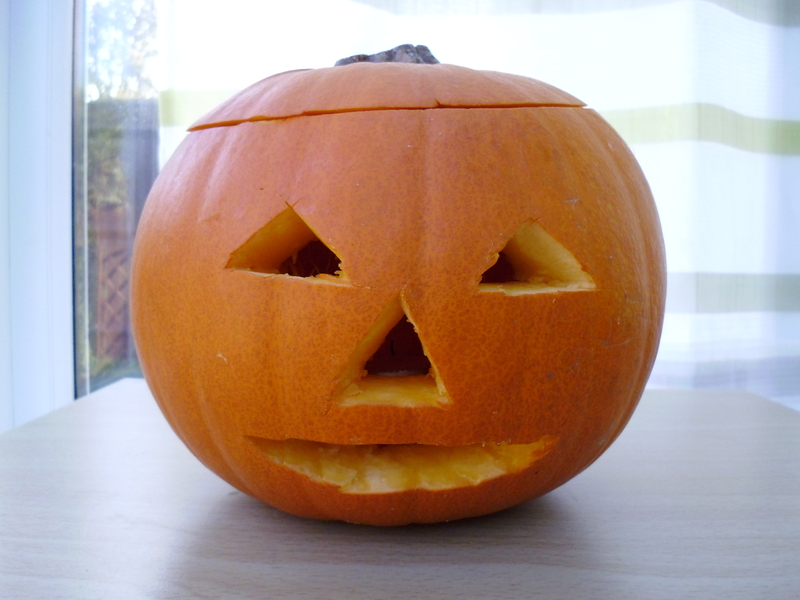 If you are wondering what to do with your pumpkin now Halloween is over, look no further! 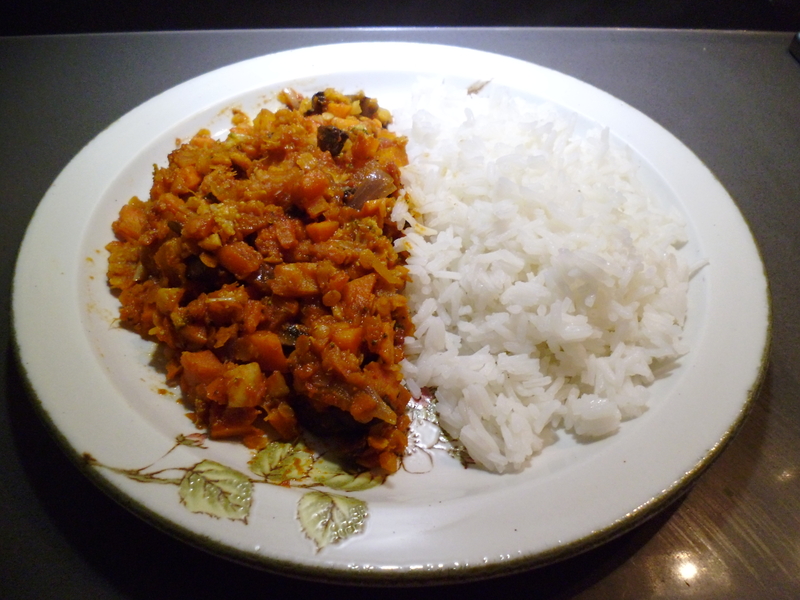 Dice it up to make a delicious pumpkin curry! This is my first attempt at carving a pumpkin face! He looks more friendly that scary! Looked pretty cool glowing in the dark with a tea light inside on Halloween! Melt the coconut oil in a large saucepan on a medium heat. Chop up the red onion, mushrooms and root ginger and add to the pan. Fry until the onions start to look translucent. Now add in the chopped garlic. Season with the spices and stir to mix. Very finely chop the carrot and add to the pan. Dice the pumpkin into cubes and add to the pan. Now melt the coconut cream in hot water and add the resulting coconut milk to the pan. Pour in the passata and add in the extra water. Add the lentils. Now bring to the boil. Simmer for 20-30 minutes. Next pour around 300ml of water into a small pan. Bring to the boil and add the basmati rice. Simmer for 10 minutes. Scoop half the curry sauce onto a plate and serve warm with the rice. Enjoy!